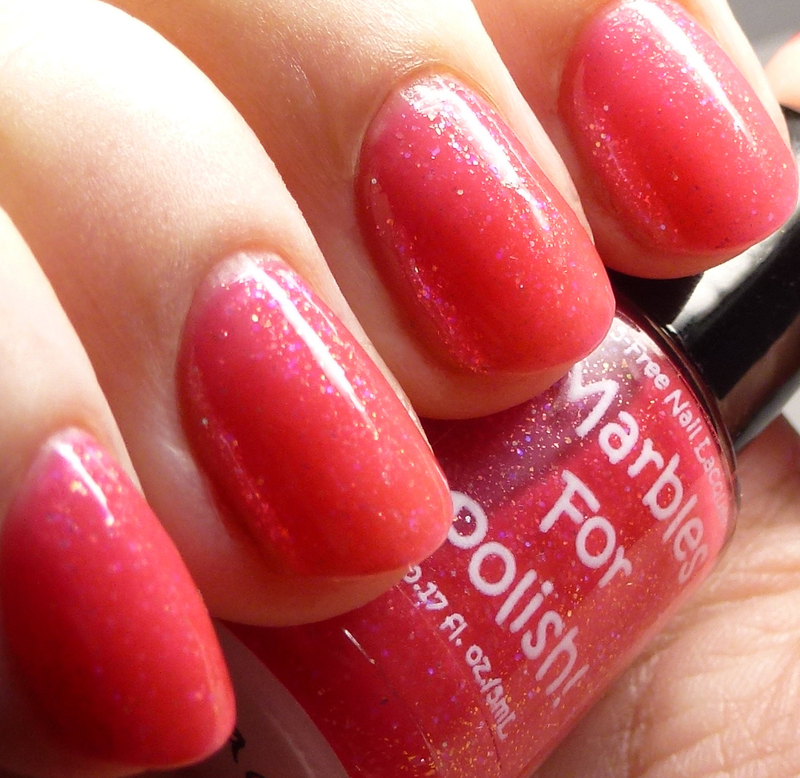 Marbles For Polish has a new set of polishes out for Spring - the Princess Jellies Collection. This is a set of six sheer jellies with iridescent glitter, microflakes, and shimmer, that can be worn on their own or layered as you like. 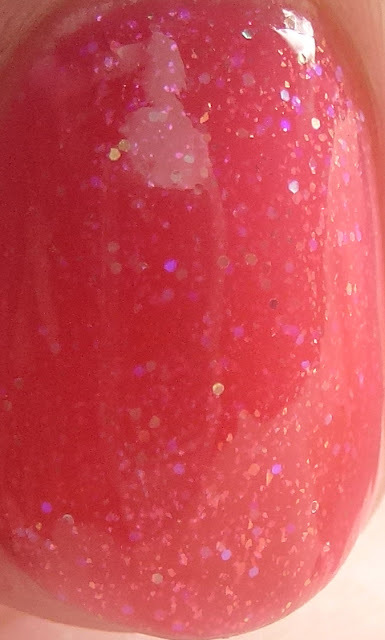 I have the first three of the set to show you today! 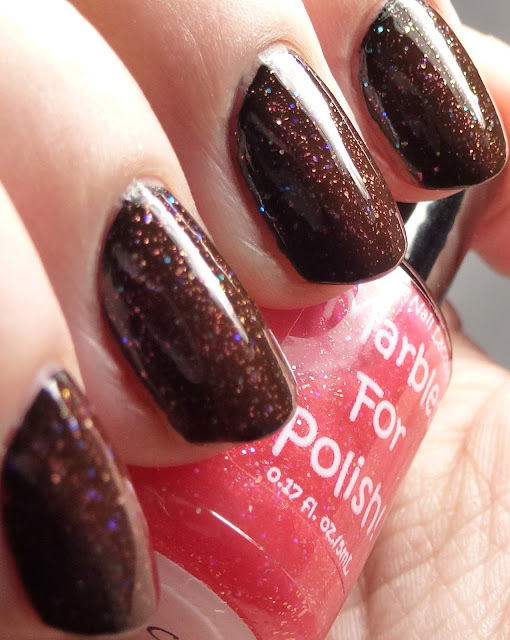 First, formula notes - all of these are worn alone in four thin coats, dried quickly, and were perfectly smooth with normal top coat. No issues at all! 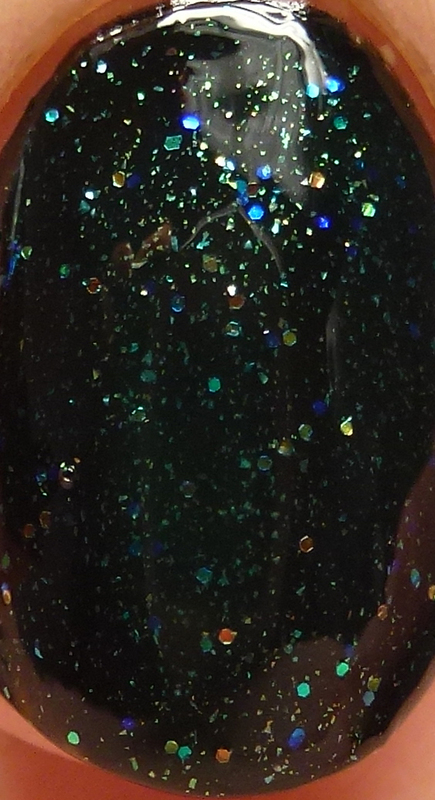 The second set of pictures is one coat of each over a black base to show the glitters and shimmers. 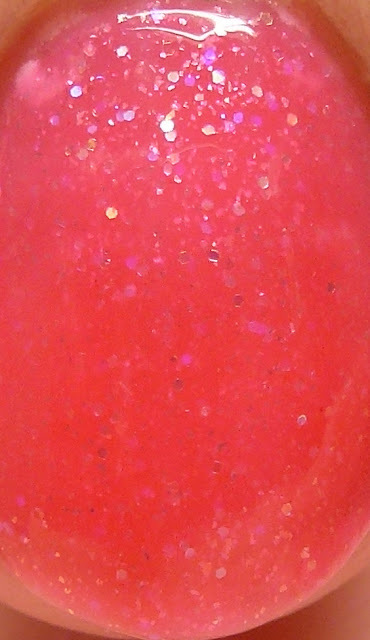 Grace has iridescent microglitters and pink-to-gold duochrome microflakes in a coral pink jelly base. 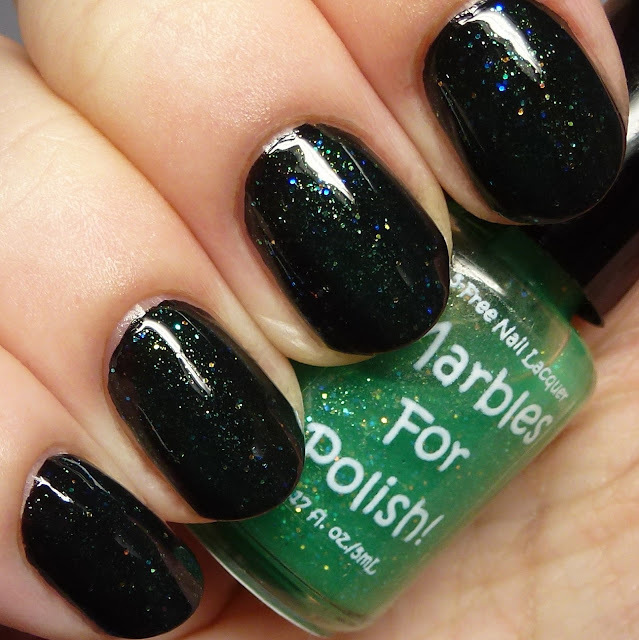 This one works great over black - you can really see the shift of the microflakes. 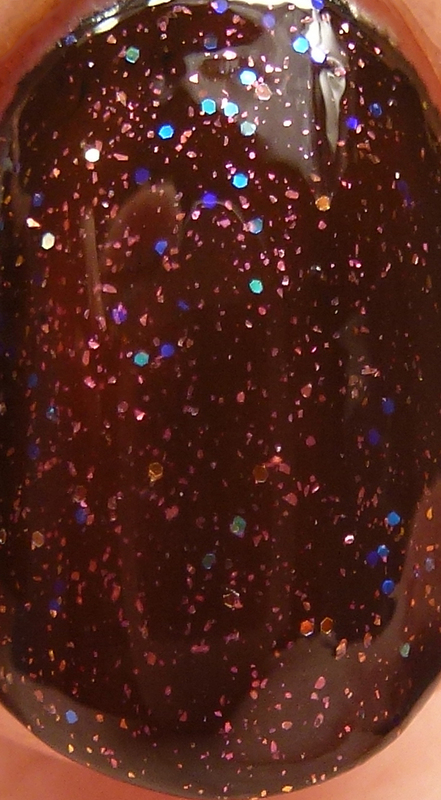 Love has iridescent microglitters and white shimmer in a white jelly base. 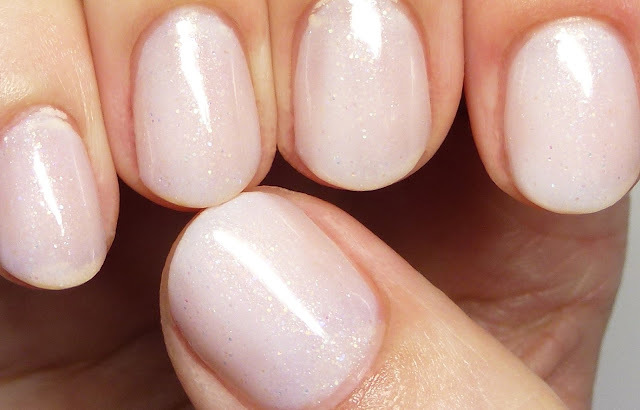 This is not streaky and can be worn in fewer coats as a fancy French mani color. This one doesn't work quite as well over black as the white looks uneven, but it might work this way for a galaxy mani. 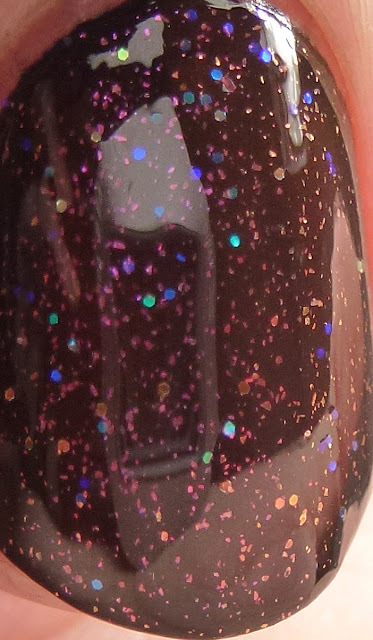 Over all, I would say this is better to layer over lighter bases. 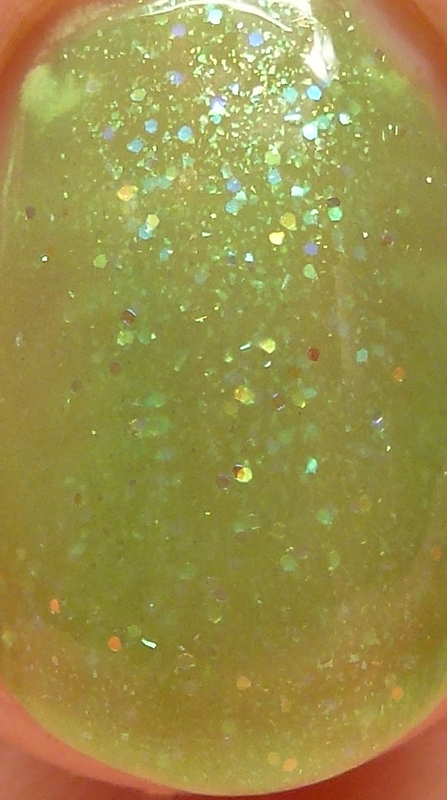 Strive has iridescent microglitters and white shimmer in an apple green jelly base. It is fairly sheer and works nicely over black to show off the shimmer. 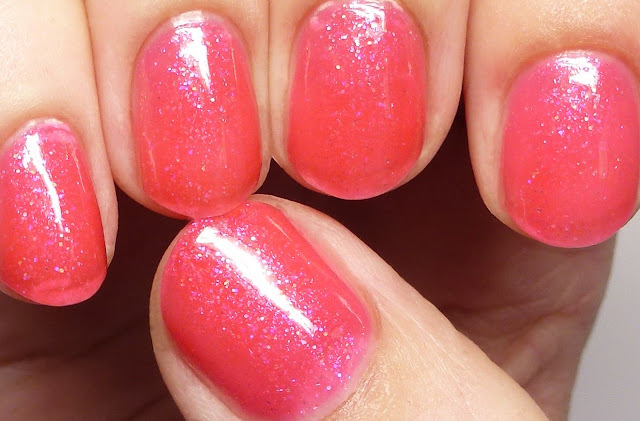 I will be back with Part 2 tomorrow with three more lovely jellies! This collection launches on Friday, March 25. 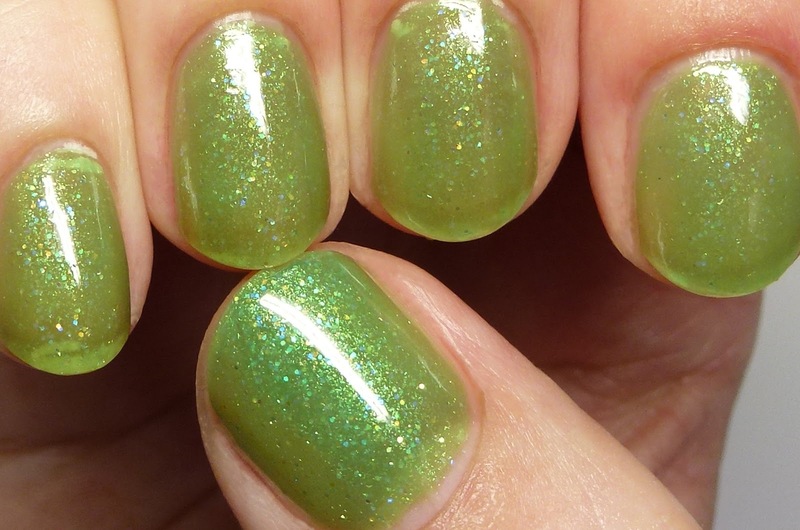 How do you like jellies? Layered or on their own?